Wide-band omni directional antenna for use with building boosters. This antenna can be mounted to poles, walls or windows. Mounting includes stainless brackets and screws and double sided tape. 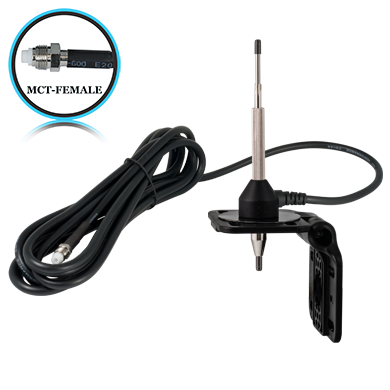 Comes with 18' quad shield low loss cable and MCT female connector.